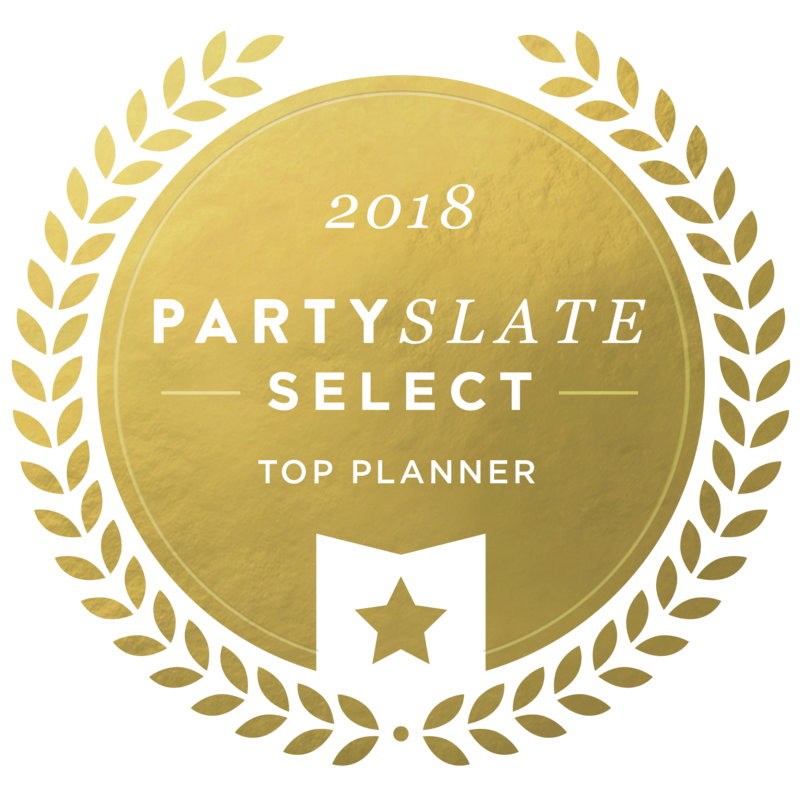 With so many creative wedding and event design ideas out there, how do you choose what’s right for your party? To start, making it personal to the two of you is always a great idea. If the choices you make reflect who you are, then you can’t lose! 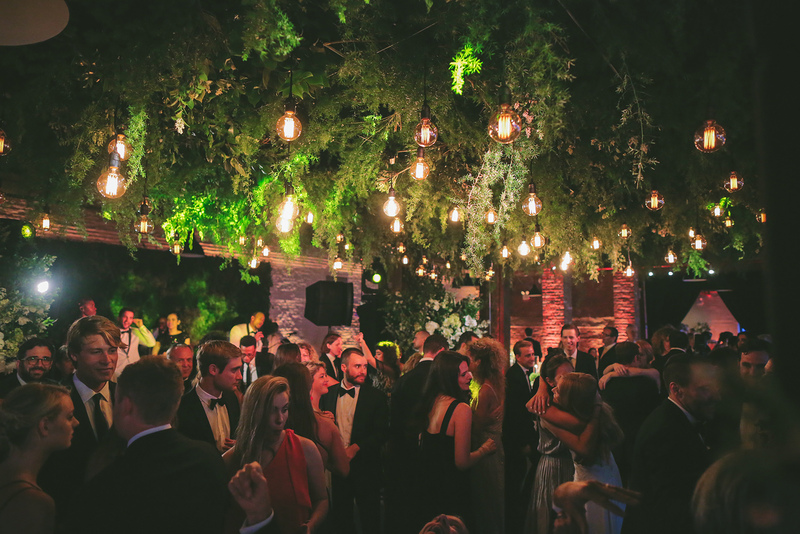 But when it comes to event design, sometimes couples simply don’t know what’s out there and available to them. 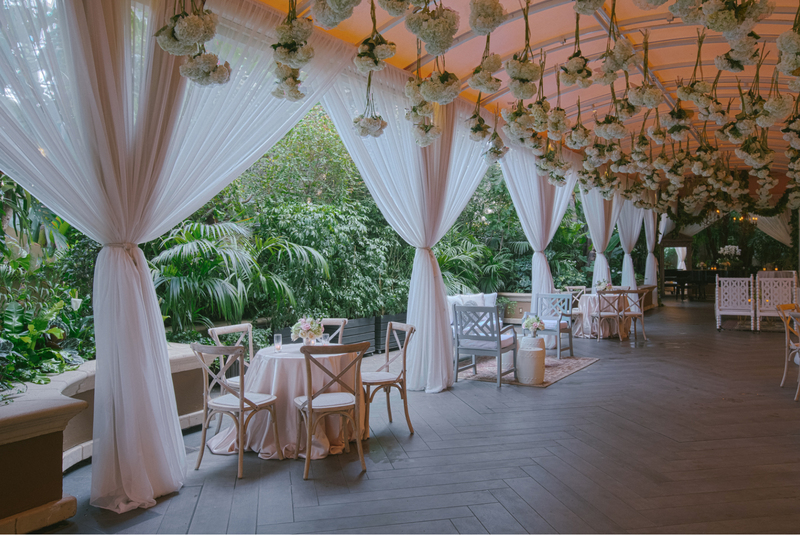 Wedding and event design ideas can get as grand and unique as you can dream, the sky really is the limit! Obviously that comes with a budget with the ability to create the unimaginable, but if the room to play is there, then design from floor to ceiling and wow your guests in a space that stuns from top to bottom. Enter the idea of wedding ceiling flowers! I like to think of an event space as anything the eye can see. 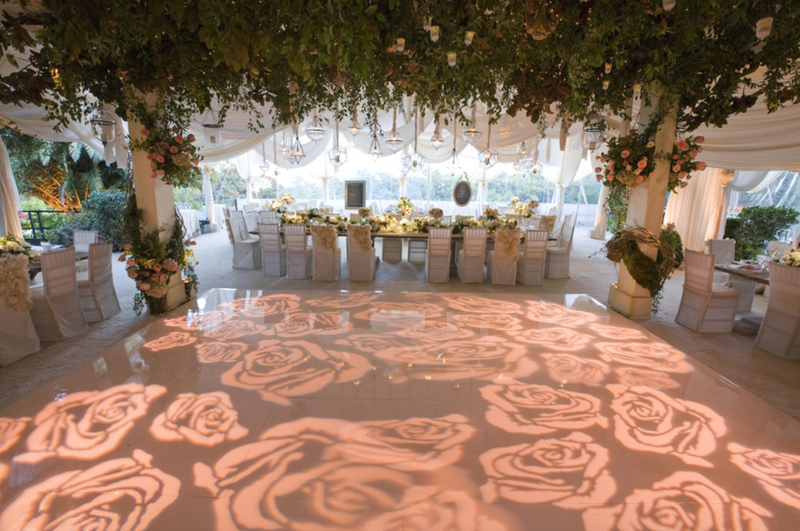 For an indoor reception, that includes the floor (a great dance floor) all the way up to the ceiling, in this case, draped in florals and incredible lighting. There are many ways to dress up a space with ceiling flowers. For example, you could only use greens! 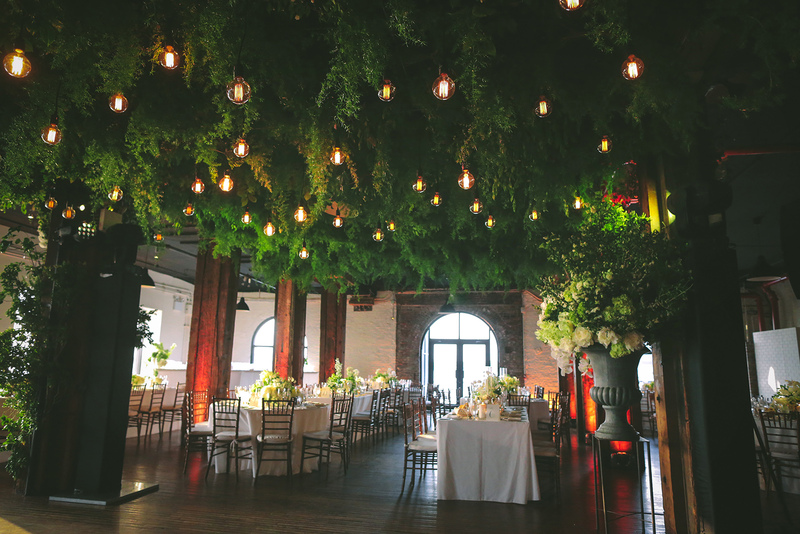 Or drop an array of chandeliers covered in greenery. Bistro bulbs or unique lighting fixtures mixed into the single blooms you select or clusters of beautiful plants and flowers that fit your style, theme and color palette are also lovely ideas. Floral ceiling treatments don’t even have to be made of flowers! Here’s a baby shower I produced dripping in umbrellas. 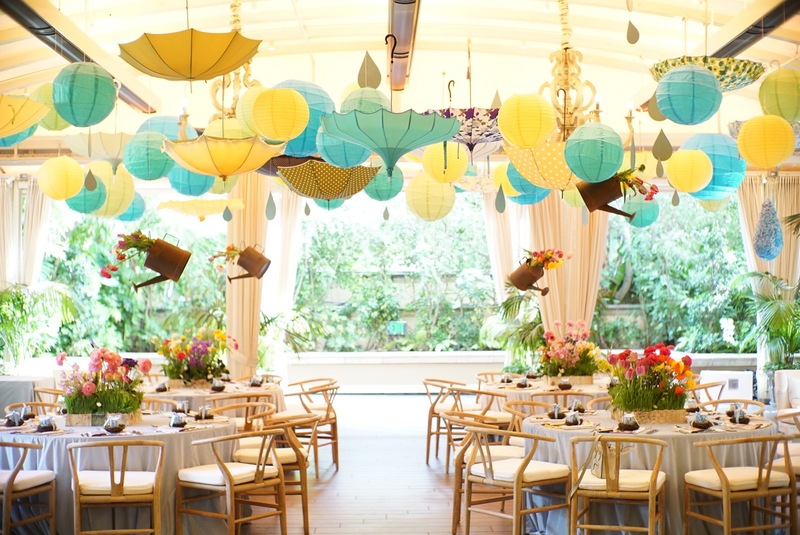 We hung them in multiple colors around lanterns and watering cans for that “shower” effect. If the thought of dressing up your entire space in floor to ceiling flowers seems daunting, skip it! Consider floral just over a focal point instead. This could be over the dance floor, cake table, head table or other primary place of interest. Hang florals overhead in places you want to draw the eye. 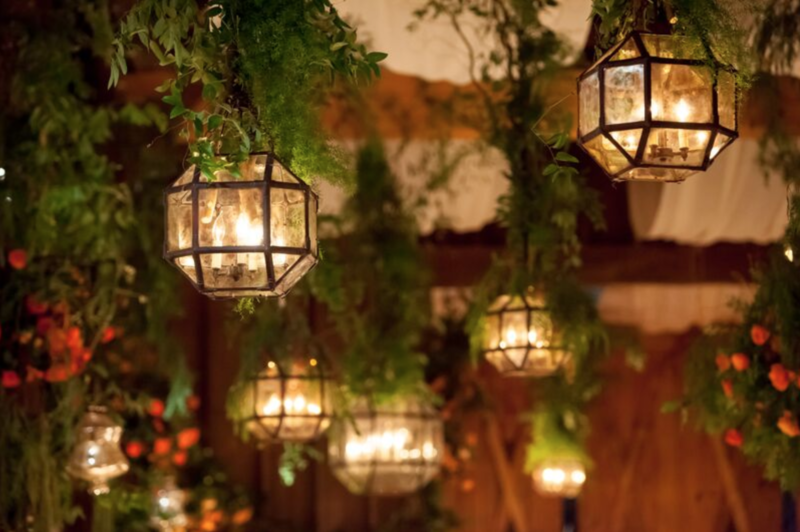 If you love the look of a lush event space, consider this among many other creative event ideas you can weave together into your reception space. What will you choose for your wedding day?